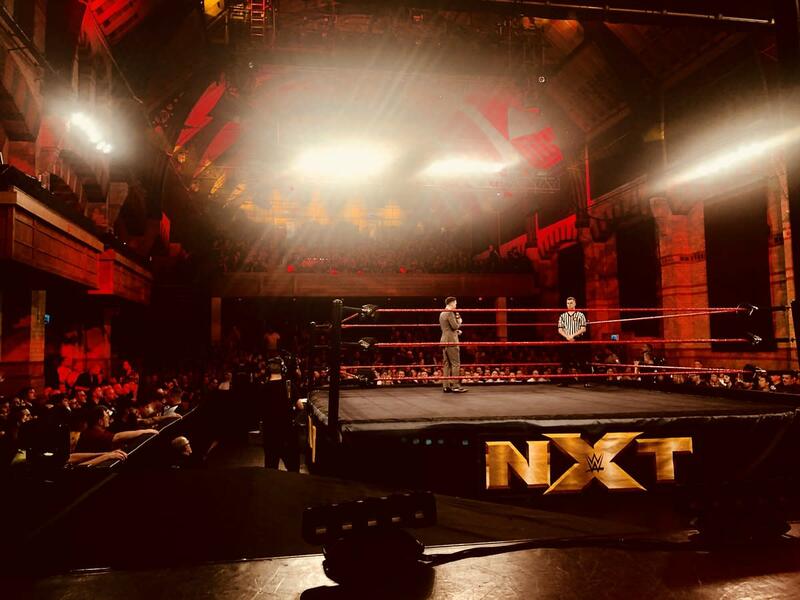 Here are results from the second set of NXT UK tapings which took place in Cambridge, England. If you missed night one's results, here you go. Kelly won with a Dragon Sleeper. Ligero won with a springboard tornado DDT. In a backstage segment, Travis Banks was found laid out after an attack. Andrews won with a Stundog Millionaire which was followed by a shooting star press. Post match, the Coffey Brothers attacked Andrews. Flash Morgan Webster ran out to help, but Wolfgang turned heel and attacked him instead. Gibson submitted him with the Shankley Gates. Post match, Trent Seven confronted Gibson and challenged him. However, Gibson just ignored him and walked away. Mastiff won following a cannonball in a short squash. Ligero won after a springboard tornado DDT. - Ashton Smith came out for a match, but the Coffey Brothers & Wolfgang attack him. This set up a six-man tag for later on. During the match, the crowd chanted “We want Andrews”. Post match, Jinny ran out and attacked Kai. Joe Coffey pinned Webster after a discus lariat.